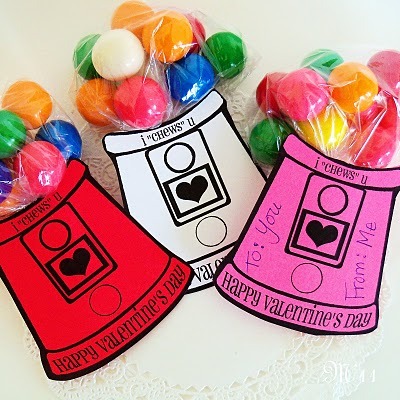 I have seen a few different interpretations of the I 'Chews' You Valentine,but this is the first bubble gum machine valentine version I have seen and I LOVE it! Such a cute idea. And pretty easy to pull of with the free printable. You can check out how to make a bubble gum machine valentine and get the free printable over at Three Moon Babies. It is so cute, thanks for showing!